Due to the importance of tiered link building, I have decided to write a complete guide to it. This will be a step by step guide so you can understand it easily. How to build tier links? Let’s start the whole discussion step by step. The simple definition is, building links to your links. But, has this definition helped? The simple answer to this question is, no definitely not. This is what I am going to explain to you in a more detailed way. Before I go into the detail of it, I want to mention that we will learn this strategy only to the tier 2 links. As further tiering is just a waste of time and money. Let me explain to you what I am saying. According to my personal experience, those who are already using this technique and building also tier 3 and tier 4 links use software like GSA. And there is no doubt that such software builds backlinks with just a single click but do these backlinks really help. No definitely not because these backlinks are very hard to index in Google due to very low quality. Then why one should waste his time and money in building such links which are useless. …that quality matters than quantity. That is why we have to keep this in mind even building tier links. These are the backlinks which you build directly to your money site or target site. Google bot is becoming intelligent day by day so we also have to change our link building strategy. Do not build such links which are spammy and easy to get if you want to survive a long time in Google. 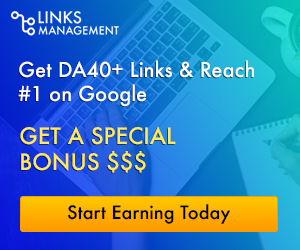 I have already written a complete article where I have mentioned what are the quality backlinks and which type of backlinks you should build to your money site. Read it at the following link. I hope you have enjoyed reading this guide, now we are moving to step 2. These are the links which you build to the tier 1 link. You can build the following types of links as your tier 2 links. But here you also have to take some precautions. Before creating tier 2 backlinks, create 3 to 5 different Email accounts. And use these accounts randomly to create accounts on the sites I have mentioned above and do not create all the accounts with the same Email ID. And also use different names and usernames while creating accounts. One more precaution, build separate email accounts for your tier 1 backlinks and do not use the emails of tier 2 links. Doing so leave a clue for the Google Bots and could cause a penalty. This is how the tiered link building works. Use this strategy and you will see that your site goes above and above in Search Results. It could take some time ( 1-2 months ) but the rankings you will achieve will be stable. But this does not mean that after reaching the top positions you could stop link building, NO, you can only slow down your link building.